Teriyaki chicken… beef satay… and a wok brimming with colorful, crisp-tender veggies. These delicious dishes just wouldn’t be the same without the unmistakable flavor of soy sauce. The flavor we associate with these delicious dishes is called umami. Known by the Japanese as “the fifth taste,” umami deepens flavors and creates a “roundness” to foods that is vastly different from the four flavors we are most familiar with (sweet, salty, bitter and sour). The taste of umami is present in many foods, including asparagus, tomatoes, cheese, meat, seafood and seaweed. It is the mouthwatering result of a simple chemical reaction: the glutamate molecule breaking down. It happens when parmesan cheese ages… when a tomato ripens in the sun… and when soy sauce ferments. 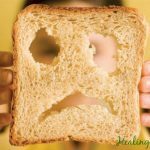 But if you’re avoiding soy – either due to soy allergy, thyroid concerns or as part of a Paleo diet – you may find yourself pining for the comforting flavors of Asian cuisine. Today I’m going to share one of my favorite new products that will give you all of the wonderful Asian flavor and umami… with none of the soy, gluten or processing you’ll find in common sauces. 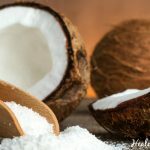 Just when you thought that modern food companies have tapped all the goodness that the ever-giving coconut tree has to offer – coconut oil, coconut water, coconut sugar, coconut flour, coconut butter – along comes coconut aminos. This dark amber acidic liquid is made by naturally fermenting the sap of the coconut tree along with mineral-rich sea salt. The result is a deliciously complex flavored condiment that not only adds a punch to Asian dishes, marinades, sauces, salads and more… it is also rich in 17 different amino acids. And unlike most commercial “soy sauce” products, coconut aminos are not processed, hydrolyzed or adulterated in any way. That means you won’t get any of the MSG-like effects that can occur with most commercial soy sauces. Coconut Secret Coconut Aminos are also vegan, GMO-free, dairy-free, wheat-free and grain-free – making them compatible with almost every special dietary need. Look for Coconut Aminos made by Coconut Secret the next time you visit your local health food store. If you can’t find the product there, Amazon carries this delicious and health-enhancing condiment. Try this sauce with Chicken Satay for a Paleo riff on an Asian favorite. In a small saucepan, combine all the ingredients and stir over low heat. Simmer for 5 minutes, whisking. Use additional water or coconut milk to thin, as necessary. Yes, you can certainly substitute tamari sauce for the coconut aminos. They are different nutritionally speaking, but they taste very similar perform the same function in recipes: to provide that 5th taste. The “umami” that we all know and love in Asian recipes.